The U.S. Environmental Protection Agency (EPA) and U.S. Department of Justice (DOJ) announced a settlement agreement with Anchor Glass Container Corporation that will resolve alleged Clean Air Act violations at all six of Anchor’s container glass manufacturing facilities located in Florida, Georgia, Indiana, Minnesota, New York, and Oklahoma, and improve the company’s compliance with federal clean air laws. 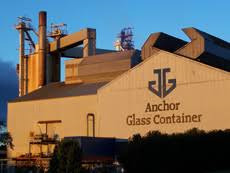 Under the proposed settlement, Anchor will install pollution controls to cut emissions of nitrogen dioxide (NOx), sulphur dioxide (SO2), and particulate matter (PM) at its container glass manufacturing facilities. The states of Indiana and Oklahoma also participated in the settlement.